Presently, I am celebrating my twentieth anniversary of working for Turrentine Brokerage, selling wines and grapes to and from clients all over the world. In the last millennium when I was hired, I had a degree combining fermentation science and agricultural economics from U.C. Davis, as well as three years experience in winemaking and marketing wines. I was an avid reader of this very Market Update newsletter published by Turrentine Brokerage and I immediately applied when I read that Turrentine Brokerage had an opening for a new grape and bulk wine broker. The fast-paced nature of the bulk wine and grape markets thrilled me and I was ready to take on the challenge. New to the business, I was frantic to bring some order to the market and especially, to make sales as fast as I could. Bill Turrentine kept reminding me to remain calm and remember that the most important part of business was to build relationships of trust. He said that I should be thinking twenty or thirty years into the future when talking with clients. I didn’t really believe him then, but as it turns out, he was right. Twenty years flew by and those lessons learned from Bill are still the backbone of how we do business today. The wine business is a long-term business. Many supply decisions have consequences that help or hurt for ten years or more. Many of our grower and winery clients have been navigating wine business cycles for three or four or even five generations. I recall the first deal I closed twenty years ago. It was for one truckload of 1990 barrel fermented Sonoma Carneros Chardonnay. There were multiple buyers and the price was bid up to $12 per gallon. I wondered how the bulk market could be so strong when the Chardonnay casegoods market I had been working in was moving into oversupply. It was my first lesson in the startling lack of relevant information available to those making critical supply decisions. Bill told me that was the way in which we could best help our clients. Our goal is to help clients make informed supply decisions. We do not lead them to make the decision we think best, nor try to look good by only telling them what they want to hear; instead, we provide as much honest market information as we can and then let the client decide what response would make the most sense for their company. I am amazed by the changes that have occurred over the last twenty years, but also by some of the constants. Fighting varietals became barrel fermented Chardonnay with a touch of residual sugar, then Merlot, the red wine health boom, Pinot Noir, Pinot Grigio, and now Moscato and sweet red wines. Not to forget the Sangiovese, Viognier, and Syrah flashes. The constants have been the Turrentine Wine Business Wheel, the cycles and the consumer’s preference for a hint or two of sweetness. I have been through three cycles predicted by the Wine Business Wheel and none have been the same. As a company and industry, we evolve through the cycles. Finally, I also realize how fortunate I have been to be able to work for and continue my education in the wine business from someone of such integrity, consistency, foresight and wisdom as Bill. I have learned a lot from him and continue to learn from him every day. I am grateful as well for the opportunity to work with many extraordinary growers, winemakers and brand owners, learning from their experiences and insights, and helping them to build successful businesses through the ups and downs of the wine business cycle. I have also had the privilege, especially now as President of Turrentine Brokerage, to continue to build a great team of grape and bulk wine brokers, along with a talented support staff. Many of them have been working for Turrentine almost as long as I have. It is very much a can-do team, committed to building long-term relationships of trust and empowering our clients to make informed decisions in a complicated and rapidly changing business. After twenty years, I feel like I’m just getting going. Anyone interested in a truckload of barrel fermented Chardonnay? Bulk wine and grape markets in California continue to be active. Audra Cooper, and even Vice President Brian Clements are busy closing deals on North Coast grapes. Erica Moyer sold just about every available grape cluster in San Joaquin Valley a few months ago. Recently, she has been closing deals on Chardonnay in Monterey County. Pinot Noir in Monterey is pretty well sold out. Matt Turrentine was busier than a one-handed grape picker in January, February and March selling Paso Robles Cabernet Sauvignon and other red grapes. The Cabernet is now mostly gone but he is still closing deals on other varieties in Paso Robles and Southern Monterey County. On the bulk wine side, Stephens Moody, Steve Robertson, Marc Cuneo and Michael Robichaud have sold most of the available 2010 red wines, are well into the 2011 wines, and are doing more multiple year supply agreements than they have in many years. Demand has swallowed almost every drop of 2009 and 2010 Cabernet Sauvignon from the San Joaquin Valley. We have also negotiated contracts on a large portion of the 2011 vintage as well. 2011 Cabernet Sauvignon grapes from the Valley pretty much sold out a few months ago with prices above 2010 and multi year contracts and planting contracts being negotiated. The Central Coast and North Coast Cabernet Sauvignon bulk markets still have some supply left, but only because asking price increases have tested the elasticity of demand. 2009 is history, 2010 is almost gone. In the Central Coast, a high percentage of the fruit available early in the season was contracted before the frost. The frost produced more buyers and increased prices for the few lots still available. North Coast demand for Cabernet Sauvignon grapes has been steady and picking up steam, but supply is limited. Napa Valley bulk demand is strong but asking prices above $30 per gallon have slowed the pace at which deals are completed. 2009 lots still move quickly but to get above $30 for 2009 or even 2010, the wine has to be seriously delicious. Most of the sales volume has gone down in the $20- $25 range for 2010 vintage. Demand for grapes in Napa Valley has been strong and is getting stronger, with more buyers active and increased volumes needed. Prices have risen slightly. Demand has picked up for Sonoma County Cabernet Sauvignon wine in bulk, with prices in the $10- $17 range. Demand for grapes is also strong; the difficult issue, of course, is finding a price that works for both parties. Just because a river looks quiet does not mean that the current is slow. Chardonnay is a mighty river with a lot of supply, however there are signs that the supply is flowing a little faster than it has the last few years. The Northern and Southern Interior regions are mostly sold out of Chardonnay grapes. We are moving a lot of Monterey County Chardonnay grapes right now, which is three months earlier than in recent years. Supply of 2010 bulk still exceeds demand, but as some Chardonnay grape prices inch upwards, buyers may re-evaluate the 2010 bulk in an effort to keep costs down. Brands with Pinot Noir that retails in the $10- $15 per bottle range are still looking for Pinot Noir from Sonoma, Monterey and the Interior. Most Pinot Noir grapes in the Interior were committed years ago under planting and long-term contracts or are from winery owned vineyards, and the few grapes available this year were sold months ago. Monterey Pinot Noir grapes have been active and most of the volume is now committed. The market for Pinot Noir in Monterey County began earlier than in 2010, with more buyers at higher prices and multi-year contracts. Demand is outweighing supply. Sonoma County still has grapes available, but demand is steady and prices are firming, although prices are still considered a bargain compared to the levels of a few years ago. The bulk market for Merlot still lags behind Cabernet Sauvignon, Pinot Noir and other reds, but it is picking up steam. Pricing has firmed slightly for Merlot from all regions. Merlot is once again becoming a part of many Cabernet Sauvignon blends. The Merlot grape market is also lagging behind the other varieties; however, there has not been Merlot grapes available in the Interior for quite some time. Supply in total is down with fewer acres. As sales of all red wines continue to strengthen, Merlot will grow as a blender if not as a varietal. Zinfandel, Petite Sirah and other reds continue to be active for grapes and wine with buyers in need of blenders, primarily for sweet red blends but also for varietal bottlings. Demand for Zinfandel in the Interior is still strong for red wine and white wine but supply is committed. The crop in the Northern Interior is very light. Moscato is still strong. Global supply has increased but demand also continues to grow. Consumers have always enjoyed sweet, fruity wines, so demand is likely to remain strong for some time. Steve Fredricks has been racking up the frequent flier miles recently, checking the pulse of the world wine market. He attended the Prowein show in Germany in March, the London Wine Trade Show in May and the even more massive Vinexpo in Bordeaux in June. The good news, after several tough years of financial crisis, is that the global wine market now has a pulse and is expected to live. Demand for quality wines is up, excess supplies have mostly been consumed and suppliers are now receiving prices that should allow them to purchase at least a new Fiat every once in awhile. Europe: Sampling the selection from French, Italian, and Spanish suppliers, it is fair to say that there are opportunities to purchase Chardonnay, Cabernet Sauvignon and Merlot from these countries. The challenge, as always, is to find the right combination of quality, volume and price from a reliable producer. Our European partners are experts at this, offering both bulk and bottled options. 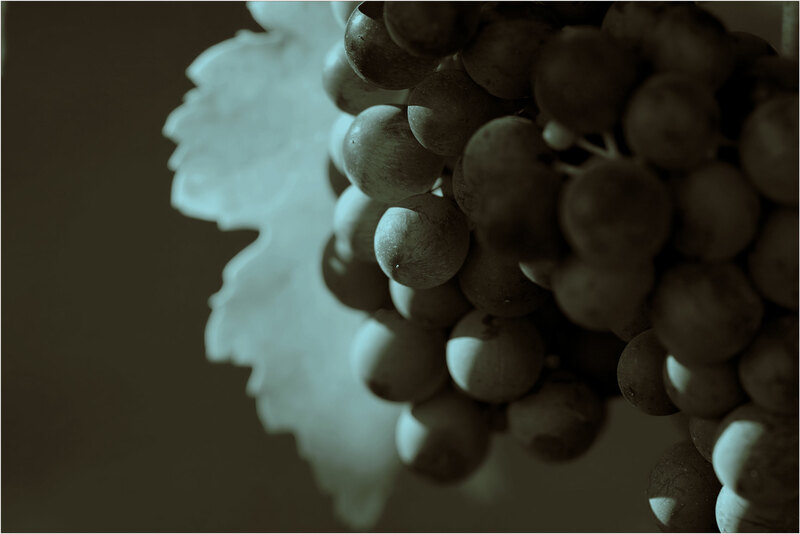 The market is expected to remain strong because the 2010 harvest was not large and global demand is strong. More vineyards are slated for subsidized removal in the Languedoc region again this year. Argentina: Turning to the Southern Hemisphere, Argentina had a better harvest in 2011, which has improved the supply situation. Demand for Malbec remains strong, although asking prices may have risen beyond what the market will sustain. Dry red and dry white production increased, however demand has also increased, while supplies in competing areas, such as Spain, are low. Australia: The 2011 crush was above what was projected; however, Jim Moularadellis, our Australian alliance partner at Austwine, has provided some critical insight into the reality behind the numbers. His notes follow. The Winemakers of Australia’s vintage report for the 2011 Australian Vintage is 1.619 million tonnes. The 2011 crush is certainly higher than expected; so what is all the fuss about under supply from Australia? The 2011 crush number is actually a little misleading for two reasons: The 2011 crush number is the tonnage over the weighbridge, not the tonnage made just into wine. We need to deduct the extra volume of grapes sent to concentrate to increase baume of grapes picked earlier than usual. My very rough estimate of this is a net loss of 100-150,000 tonnes of volumes available for winemaking. We also need to deduct the volume of grapes made to wine which will end up not being of commercial quality. The range of quality outcomes in 2011 is very large compared to previous years and there will be a lot of wine that cannot be sold as varietal wine. These wines are yet to be released to the market as winemakers try to fix them up and increase quality. My very rough estimate of the tonnage of low quality wine: another 100-150,000 tonnes. *Note to all growers: Markets are shifting. We need to know now what you have available for 2011 and in the future in order to provide you with the right opportunities. Contact us!